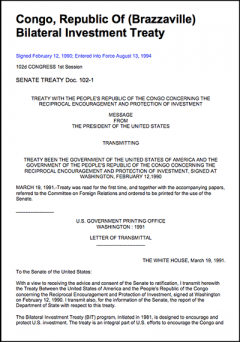 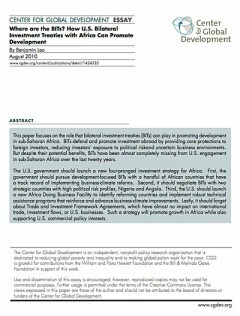 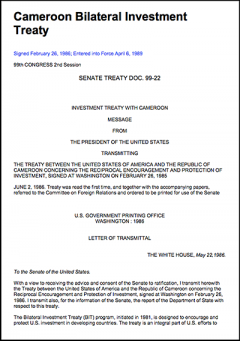 This section covers the Bilateral Investment Treaty (BIT) between the United States and Sub-Saharan African countries. 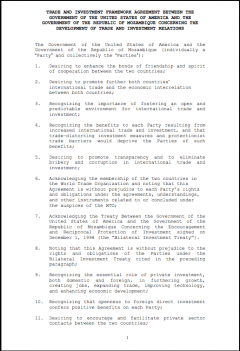 BITs are agreements concluded between two States which define the broad terms and conditions under which private individuals and companies invest in each others territories. 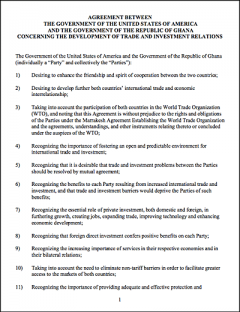 The United States has to date concluded a number of BITs with various countries, including African countries. 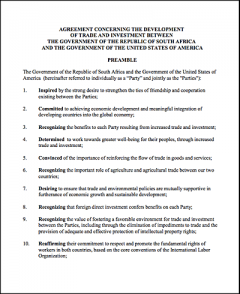 Trade and Investment Framework Agreement between the United States of America and the Republic of Rwanda. 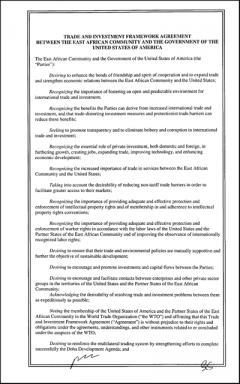 Trade and Investment Framework Agreement between the United States of America and the Republic of Nigeria. 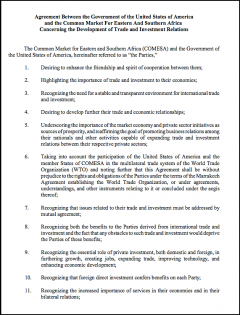 Trade and Investment Framework Agreement between the United States of America and the Republic of Mozambique. 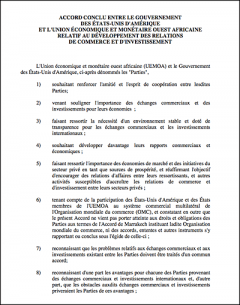 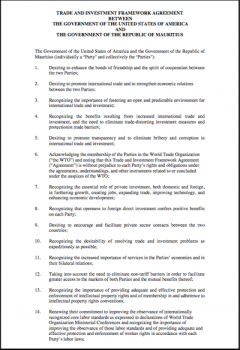 Trade and Investment Framework Agreement between the United States of America and the Republic of Mauritius. 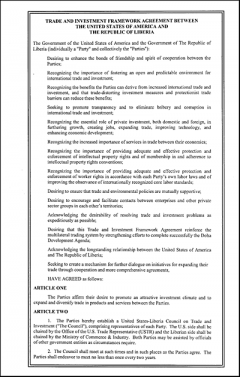 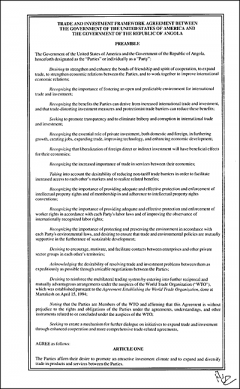 Trade and Investment Framework Agreement between the United States of America and the Republic of Liberia. 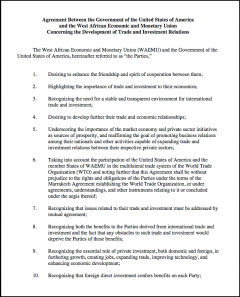 Trade and Investment Framework Agreement between the Government of the United States of America and the Government of the Republic of Angola concerning the development of trade and investment relations. 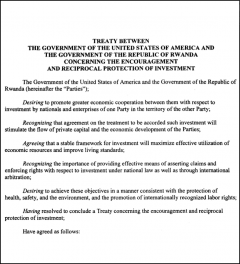 Bilateral Investment Treaty (BIT) between United States and Rwanda. 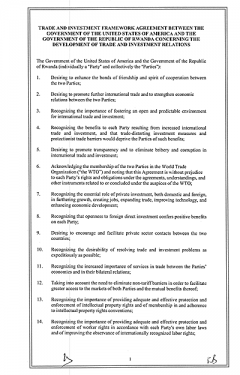 Trade and Investment Framework Agreement between South Africa and the United States. 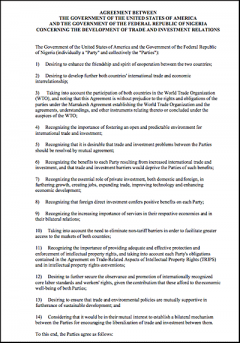 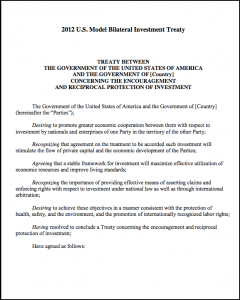 The United States' model bilateral investment treaty (BIT) - following a review - leading to this revised 2012 model BIT.